A face emerges from all the regalia at a Nespelem powwow in July 2011. Shiny hubcaps and cars are on show in Chesaw. Sprin g Adam Hendrick, 8, shows his 1.5pound rainbow trout he caught during the Omak-Okanogan Rotary Club Fishing Derby in Conconully in May 2011.
s the snow melts away from the mountains, spring fever strikes Okanogan Country and the outdoor recreational season begins. With water rushing in rivers and streams, and opening up on area lakes, eager anglers rush for their favorite poles and fishing holes to catch the big one. Starting from Day One of the fishing opener April 28, 2012, until the season ends, anglers show their prowess in derbies and other competitions. Conconully hosts a derby each year, along with specially tagged fish for a big prize (beside the prize of a tasty meal of fresh fish). Later in the season, salmon derbies are the delight. Not into fishing? Spring is also a great time to strike out on an Okanogan Country hiking, biking or horseback riding trail. Want something faster? The countryside is marked by ATV trails, as well. Some cities – such as Conconully and Okanogan – keep their streets open to ATV use, in case you need to grab a snack or gas at a friendly neighborhood store before your trek. The newest trail is the Similkameen Trail, along the Similkameen River west of Oroville. Hikers maneuver through a working vineyard, over an old railroad bridge and finally land with a view of the Similkameen Falls at historic Enloe Dam. In case you want to make that hike a longer one, the backcountry is full of camping areas for those who want to rough it. A double rainbow hovers above Lake Pateros in May 2011 after a rainstorm. Swans take off from an area watering hole. Bird lovers can find these waterfowl and many others throughout Okanogan Country. Extreme bikers attract nervous spectators in Brewster. Riversideâ&#x20AC;&#x2122;s bridge is one of many scenic areas along the Okanogan River, which flows throughout Okanogan County north to south. Spring From 2 And please don’t forget that once the earth turns green for spring, the grass turns green for the greens. Get in that spring golf came at one of several golf courses throughout the area. Grab a camera and hear the call of the wild and the birds. Okanogan Country is full of feathered friends of multiple varieties. From waterfowl to raptors, birds flock to this country. Bird lovers can try their skills in photographing and viewing them in various bird counts or special observation days. Fresh-baked bread, such as this from Okanogan Bakery, can be seen at farmers’ markets throughout the region, most of A group of hikers stops to wave to the camera on Ferry County’s rail trail. which open during the spring. A rusted tricycle sits in a small garden. A young paddler makes his way up the Okanogan River. he summer sun strikes a chord with communities throughout Okanogan Country. As the heat rises, so does the number of festivals and fun times throughout the area. During the summer, nearly every city and town sets aside a day or weekend to celebrate its heritage and have a good time. Over almost any weekend, a visitor can find themself in the middle of a street dance, parade, fireworks display, historical reenactment, pie-eating contest or other big event. Looking for the sporting festivals? Well, we have those, too. From 3-on-3 basketball tournaments to fishing competitions to golf tournaments and more, visitors and locals can feed their competitive spirit. For some action-packed excitement on the water, check out hydroplane racing in Pateros or Oroville. Or how about Jet Ski riding, racing and freestyle on the Columbia River? As we celebrate our communities, we also like to celebrate our country. Celebrate the Fourth of July Okanoganstyle with one of many festivals on the Fourth or the following weekend. Brad Forthun gives a thumbs up after an exhibition round in the whipped-cream eating contest in Molson. Parade-goers fight back against local fire departments as they hose off the crowd on a hot August day. celebration. And, folks, we know how to rodeo in Okanogan Country. Whether it’s the Omak Stampede, Methow Valley Rodeo, Chesaw Rodeo, Tonasket Founders Day Rodeo or any number of bucking events, you can get your fill of chills and spills throughout the season. The possibilities for entertainment are endless in every corner of The Okanogan. Fireworks light up the sky during the finale of the Nespelem celebration July 4. Hydroplane racers go three-wide in front of a watchful crowd at Pateros in August. June 2012 June 1-30 Laser Light Show, 10 p.m.; Grand Coulee Dam; 509-633-9265 or www.grandcouleedam.org June 2 National Trails Day; Sun Mountain Lodge; www.mvsta.com June 2 Grand Coulee Saturday Market opens, Morrison Street near Safeway June 2 Kids Night and Barbecue; Tonasket June 2 Bridgeport Daze; Bridgeport June 3 Boots and Saddles Barrel Racing Club; Omak Stampede Arena June 3 Barrel Derby Days; Curlew June 3 Ansorge Artist's Affair, Ferry County Arts Council; Curlew; 509-779-4823 or 509-775-1086 June 3-4 Tonasket Founders Day Rodeo; Tonasket Rodeo Grounds June 2 Audubon Society Spring Birdathon; Okanogan County; 509-846-0475 or heather@eaglesun.net June 6 Circus in Republic June 6-July 23 Featured artists: Katie Swanson, Linda Wick and Susannah Young; Winthrop Gallery; reception June 9; www.winthropgallery.com June 8-9 Conscious Culture Festival; Okanogan Family Faire site, Tonasket; www.consciousculturefestival.com June 8-10 Hydroplane Northwest Water Competition Races; Banks Lake, Electric City; 800822-7195 June 8-10 Prospector Days; Republic. River-floaters drift into the Omak boat ramp area of East Side Park in July. Autumn brings deer season, colorful scenery, livestock at fairs and harvest to Okanogan Country. Kaden Desautel tries for one last fish in the last rays of autumn sunshine on Leader Lake, west of Okanogan. utumn means harvest in Okanogan Country, and that brings out the best of us and our crops to share. Did you know this is wine country? We have some national awardwinners in this area, with grapes grown in our soil. Wine festivals and tastings abound, especially in the flowing presses in the Oroville area. Omak also boasts its own winery and you can find a few tasting rooms in the Methow Valley as well. Originally founded in part by orchards, that history continues as apples, pears, peaches – we could go on and on – and more come off the trees and onto fruit stand shelves, juicy and fresh. Check out farmers’ markets in multiple communities to get the best and most flavorful goods grown right here. And as is traditional in close communities, we all like to share our crops, handmade goods, livestock and more during county fairs. A mare and her colt frollic through a field. Luke Studard, 4, hefts a pumpkin he picked at Taber’s pumpkin patch near Oroville in time for Halloween. Shoppers visit the Twisp farmers’ market, near the end of its season in October. Autumn From 11 Ferry County hosts a fair over Labor Day weekend, with Okanogan County answering back with another fair the second weekend in September. Fair time means horse racing, rodeos, carnival rides, live music and much more, too. Fall also is a great time to catch the changing colors over scenic drives and overlooks around Okanogan Country. A drive up North Cascades Highway is worth the time before the snow closes the road for the winter. Silas Goggiel performs as Essential I at the Okanogan Family Faire outside Tonasket in October. Ruby Lyderson-Jackson chips away rock layers on her search for fossils at Stonerose Center in Republic during fossil week in October. Okanogan County Fair-goers check out a newborn piglet. Oct. 4 Annual Pie Auction and Chili Feed; Wauconda Hall Oct. 6 Harvest Fest; downtown Okanogan Oct. 6 Autumn Leaf Run; Okanogan; www.autumnleafrun.com Oct. 8 Carolyn Cruso folk, Americana and Celtic acoustic music; www.cccoftonasket.org Oct. 10 Hunters’ Breakfast with Max’s famous omelets; Wauconda Hall, Wauconda Oct. 11-Nov. 19 “Harvest” exhibit; reception and artwalk Oct. 13; Winthrop Gallery; www.winthropgallery.com Oct. 12-14 Okanogan Family Faire; barter fair site on Cayuse Mountain Road, Tonasket; www.okanoganfamilyfaire.net Oct. 13 Brandenburg Scholarship Crab Feed; Winthrop Barn, Winthrop Oct. 13 Opening Day Holiday Bazaar, opening of hunting season; Conconully; www.conconully.com Oct. 17-22 National Fossil Day celebration at Stonerose; 509-775-2295 Oct. 20 Taste of Two Valleys fundraiser for Loup Loup Ski Education Foundation; Okanogan County Fairgrounds Agriplex Oct 21 Curlew Duck Derby; Curlew Civic Hall; 509-779-4716 Oct. 21-23 Okanogan Family Faire; www.okanoganfamilyfaire.net Oct. 24 Wauconda Halloween Potluck and Party; Wauconda Hall, Wauconda Oct. 25 Moonlight Madness; Grand Coulee Dam; www.grandcouleedam.org or 509-633-9265 Oct. 27 Backcountry Horsemen Harvest Dance and potluck, Wauconda Community Hall Oct. 27 Loup Loup Ski Bowl Ski Swap; Okanogan County Fairgrounds Agriplex, Okanogan Oct. 29 Halloween dance with live music by Hippies on Vacation; Community Cultural Center, Tonasket; www.cccoftonasket.org Oct. 31 Haunted House at Tonasket Visitors and Business Resource Center; The moon creates an eerie silhouette in October. ike the snow? So do we! We don’t hibernate in Okanogan Country. We meet winter head on in sports and fun, even in the chilliest weather. Those trails that worked for ATVs also work for snowmobiles, and local clubs keep the paths groomed and used for those wanting to feel that crisp, fresh air. We also have our own ski areas. The Loup Loup Ski Bowl offers skiers and snowboarders great slopes, great powder and great mountain views. Sitzmark Ski Hill at Havillah, outside Tonasket, has its own slopes, with classes and good times for anyone wanting to take on the snow. Victoria Sidorczuk and Amanda Bently wait for a fish to bite during the February ice-fishing festival in Molson. Linda Pierce and her team clear the start area en route to a third place finish in Conconully’s Snow Dog Super Mush in January of 2012. The Loup Loup Ski Bowl line takes skiers back up the mountain for another run. Rays of sunset scatter across a wintry scene. A snowmobiler blazes a trail on a snowy day. Dustin Coulter, 2, makes his first snow angel of the season after Mother Nature deposited a blanket of the white stuff. Sledders head across a field looking for a good hill. Conconully for the Snow Dog Super Mush every January and cheer on your team. Or share some laughs, cheers and jeers at the annual Outhouse Races on Conconully’s Main Street. And in case you’re here for the holidays, we get lit for Christmas with lighting ceremonies in several communities. You can also catch the annual Twilight Parade in Omak or one of many bazaars. Garfield perches in a snow-covered tree. A young skier tries his hand at a jump at Sitzmark Ski Hill. Brewster’s Columbia Cove becomes a winter scene. The arts come alive in Okanogan Country. Looking for artwork? Twisp and Winthrop boast galleries galore, with local artists’ featured paintings, photography, sculptures and more. Take in larger artwork in places like TwispWorks, a campus partly devoted to letting our art side out. Walk past the murals throughout Okanogan, and see large reproductions of historic Frank Matsura photographs on billboards and walls. Check out the wooden carvings along Bridgeport’s Foster Creek Road, made out of the stumps of trees otherwise cut down. Looking for a production? The Methow Valley has its theaters and productions throughout the year, from musicals to comedies and more. The Okanogan Valley Orchestra and Chorus keeps music roaring in the country with concerts in season and its annual spring musical. Samba Daramy hand-weaves a basket during Art in the Park, an annual event in Omak’s Civic League Park. An old Chevy pickup sits in an area yard. History With several cities marking more than 100 years in the area, history is one of the many things to be explored in Okanogan Country. The Okanogan County Historical Society operates the Okanogan, Molson and Conconully museums, and Shafer Museum in Winthrop. Check out information about miners, orchardists, loggers and other activities which founded the area. The Okanogan museum also features the Fire Hall Museum, which is a reproduction of the original building, complete with an old fire engine parked inside, and the Wilson Research Center. The Borderlands Historical Society keeps its heritage alive with artifacts and records for Oroville, Molson, Chesaw and Tonasket. Old Oroville Depot features a variety of special exhibits throughout the year, along with its regular exhibits, such as an old train car. With Grand Coulee Dam in sight, see how the massive structure was built at the Colville Tribal Museum and gift shop in Coulee Dam. The dam visitor center also offers historical information. Okanagan alternate proof of citizenship. Know the importing prohibited items. You can check out a list of items on the U.S. or Canadian Border Patrol websites. Be ready to declare all items with you in the vehicle to save time. Border wait times can be monitored online. Travelers should build extra time into their trip for the border crossing in case of delays. International travelers should expect an inspection, even during busy holidays, when entering the U.S. The Oroville-Osoyoos border facility is the area’s only 24-hour crossing. Crossings with limited hours are located at Nighthawk (9 a.m. to 5 p.m. daily), Ferry-Midway (9 a.m. to 5 p.m. daily), Danville-Grand Forks (8 a.m. to midnight daily) and Laurier-Cascade (8 a.m. to midnight daily). More information on border crossing is available online at www.customs.gov or www.travel.state.gov. HOMETOWN PIZZA Pizza, Calzones, Subs, Fresh Salads, Grinders, Hard Ice Cream, Milkshakes, Sundaes Informal banquet room available. Featuring Stone Baked Pizzas from Scratch The valley’s choice for affordable family dining. Family owned and operated since 1992. The Merc Playhouse Live theater and events throughout the year. Visit our website for current event listing. to see our weekly ad, in-store specials or to sign up for our weekly emailing. 3+ mile obstacle race. Find your inner warrior! ✔ Methow Cycle & Sport • 29 State Route 20 509-996-3645. methowcycle.com. See ad on this page. ✔ Morning Glory Balloon Tours • 509-997-1700 www.balloonwinthrop.com • morninggloryballoonwinthrop.com. See ad on this page. ✔ North Cascades Athletic Club • 568 Pine Street • 509-826-5552. www.omakstampede.com. mandy@ncac-omak.com. See ad on page 20. ✔ Please see ad on page number listed. • Daily balloon trips over the • Methow Valley. ✔ The Merc Playhouse • 101 South Glover Street 509-997-7529 • www.mercplayhouse.org • info@mercplayhouse.org. See ad on page 19. ✔ Motion Auto Supply • Omak: 218 Omak Ave. • 509-826-2424 Twisp: 204 S. 2nd Ave., 509-997-8292 • 1-800-440-8690. See ad on this page. ✔ Les Schwab Tires • Throughout Okanogan and Ferry Counties See ad on this page. ✔ Okanogan River Guest House • 509-322-5926 okanoganriverguesthouse.com. See ad on page 24. ✔ Eden Valley Guest Ranch • 31 Eden Valley Lane, Oroville 509-485-4002. www.edenvalleyranch.net See ad on page 24. ✔ Bonaparte Lake Resort • 615 Bonaparte Lake Road 509-486-2828. www.bonapartelakeresort.com. See ad on page 24. ✔ Canaan Guest Ranch • 474 Cape LaBelle Rd. 509-486-1191; 866-295-4217. See ad on page 24. ✔ Spectacle Lake Resort • 10 McCammon Rd. 509-223-3433. See ad on page 24. ✔ Liar’s Cove • 1835A Conconully Hwy. • 509-826-1288 800-830-1288 • www.liarscoveresort.com. See ad on this page. ✔ Deer Haven Lodges • 117 B Ave. • www.2deerhaven.com 509-826-0108 • 888-805-3337 • See ad on page 24. Bring this ad and get 5% Off! ✔ Coulee Dam Casino & Coyote Café • 515 Birch 509-633-0766; 800-556-7492. See ad on back cover. ✔ Mill Bay Casino • 455 Wapato Lake Rd. 509-687-2102; 800-648-2946. See ad on back cover. ✔ Okanogan Bingo Casino • 41 Appleway Rd. 509-422-4646; 800-559-4643. See ad on back cover. Bible Study 10 a.m. Worship 11 a.m.
Omak Seventh-Day Adventist Church • 425 W. 2nd Ave. Prayer & Praise 9:30 a.m. Prayer & Praise 9:30 a.m. 509-826-1770 • www.omakadventist.org Church 11:15 a.m. Church 11:15 a.m.
St. Mary’s Mission • 25 Mission Road • 509-826-6401 St. Joseph’s • 530 Jackson St.
9:30 a.m. Sabbath School 10 a.m.
10 a.m. No Summer S.S.
NAME/ADDRESS/TELEPHONE/FAX ✔ BTO Construction • 149 Pateros Mall 509-923-2802. bto@ncidata.com. See ad on this page. Family Health Centers • 716 1st Ave. S. • 509-422-5700, 800-660-2129 Brewster 509-689-3455. Brewster Dental 509-689-3789. Tonasket 509-486-0114. Okanogan Dental 509-422-6705. Oroville Dental 509-476-4400. ✔ Omak Clinic • 916 Koala. 509-826-1800. www.wvmedical.com. info@wvclinic.com See ad on page 27. Brewster Medical Office “Hometown care away from home” "
✔ Omak Stampede • Eastside Park, 421 Stampede Drive East 509-826-1002, 800-933-6625. www.omakstampede.org. See ad on page 28. Riverfest • Downtown Riverside 509-826-7161. 13th Annual Okanogan River Garlic Festival and Wine Tasting Tonasket History Park, Locust Way and First Ave. 509-486-1328. North Country Car Club 23rd Annual Car Show • Registration starts at 8 a.m. Tonasket Rodeo Grounds. Terry: 509-486-2777, Dan: 509-486-2098. ✔ Omak Stampede Demolition Derby • Eastside Park, 421 Stampede Drive East 509-826-1002, 800-933-6625. www.omakstampede.org. OKANOGAN ✔ Okanogan County 65th Annual Fall Fair • Hwy. 97, 2 miles north of Okanogan Bingo-Casino. 509-422-1621. www.okanogancountyfair.org. See ad on page 28. Fairs • Festivals • events • rodeos ! Okanogan Valley Farmers’ Market • Omak Civic League Park, Tuesdays 509-826-0457. See ad on this page. May-Oct. 9 a.m.-1 p.m. June-Oct. 3:30 p.m.-6:30 p.m.
NAME/ADDRESS/TELEPHONE/FAX ✔ Wild Rose Floral Design • 210 S. Whitcomb 509-486-8000. email: wildrose@ncidata.com. See ad on this page. ✔ Breadline Cafe • One block off Main St. 509-826-5836. See ad on page 30. ✔ The Corner Bistro • 19 E. Apple Ave. 509-826-4188. thecornerbistro.net See ad on page 30. ✔ Dairy Queen • 611 Omache Drive 509-826-2570. See ad on page 30. KFC and Taco Bell • 620 Omache Drive 509-826-4414. ✔ Koala Street Grill and Neighborhood Bar • 914 Koala Ave. 509-826-6375. koalastreetgrill.com. See ad on page 30. ✔ Magoo’s Restaurant • 24 N. Main 509-826-2325. See ad on page 30. Omak Bar and Grill • 15 N. Main St. 509-826-1401. Los Cantaritos Family-Owned Mexican Restaurant and Bar • 180 Pateros Mall 509-587-3350. ✔ Sweet River Bakery • 203 Pateros Mall 509-923-2151. www.sweetriverbakery.com. See ad on page 30. ✔ Bonaparte Lake Resort • 615 Bonaparte Lake Road 509-486-2828. www.bonapartelakeresort.com. See ad on page 24. ✔ Grant’s Market • 4th and Whitcomb 509-486-2127. Email: grantsmarket@gdimail.net. See ad on page 31. ✔ Tonasket Natural Foods Co-op • 21 W. 4th 509-486-4188. See ad on page 30. ✔ Hank’s Market • 412 Hwy. 20/Methow Valley Hwy. • 509-997-7711. www.hanksharvestfoods.com. info@hanksharvestfoods.com. See ad on page 19. ✔ Hometown Pizza • 202 N. Methow Valley Hwy. 509-997-2100. See ad on page 19. ✔ Twisp River Pub • 201 Hwy. 20 509-997-MVBC. See ad on page 31. Groovy Pastas • Angus Steak • Fresh Fruit Margaritas Bakery • Super Salads Tuesday-Friday 11 a.m.- 9 p.m. • Saturday 9 a.m. to 9 p.m.
! ! "" '! * + '%% $ ""! %& %& % ! % $( ! &")! * * + ""! &"
"! * &'$ %&$ & $ "
Friendly Service One Stop Grocery Shopping 4th and Whitcomb, Tonasket, Wash. • 509-486-2127 Hours: Monday-Saturday 8 a.m. to 7 p.m. • Sunday 9 a.m. to 6 p.m.
Shaw’s Fruit and Produce • 3533A Hwy. 155 • donna@shawsfruit.com 509-633-0133. Fax 509-633-0810. See ad on this page. DeLap Orchards and Fruit Stand • Located at Milepost 275, Hwy. 97 509-422-4614. Monday-Saturday 9 a.m.-6 p.m. Sunday Noon-5 p.m. See ad on this page. Cascade Foothills Farmlands Association • www.visitwashingtonfarms.com 509-433-1054. See ad on page 47. Fresh locally grown fruit and vegetables at affordable prices! Many types of birds can be found throughout Okanogan Country. ✔ Okanogan Valley golf Club • 105 Danker Cutoff Road 509-826-6937. www.okanoganvalleygolf.com. See ad on this page. ✔ Oroville golf Club • 3468 Oroville-Loomis Rd. 509-476-2390. See ad on this page. ✔ Bear Creek Golf Course • 19 Bear Creek Rd. www.bearcreekgolfcourse.com. See ad on this page. #$ # "! $ $# $#)! !, #$ #* !! , $! $"
#$ ! "! " ! Roni Rubio, 17, runs through the final flaming obstacle during the Omak Warrior Stampede in August. The course took participants through the city, down the Suicide Race Hill and into the Stampede Arena. ✔ Motel Nicholas • 527 East Grape 509-826-4611. www.motelnicholas.com. See ad on this page. ✔ Omak Inn, LLC • 912 Koala Dr. 509-826-3822; 800-204-4800. www.omakinnwa.com. See ad on page 34. ✔ Stampede Motel • 215 4th Ave. W. 509-826-1161. See ad on page 34. Camaray Motel • 1320 Main St. 509-476-3684. Klondike Motel • 150 N. Clark, PO Box 614 509-775-3555. 800-213-2812 for reservations only. ✔ Prospector Inn • 979 S. Clark, PO Box 957 509-775-3361, 888-844-6480. See ad on page 34. ✔ The Sportsman Motel • 1010 E. Hwy. 20 509-997-2911. See ad on page 19. ✔ Winthrop Inn • 960 Hwy. 20 • 509-996-2217. www.winthropinn.com, wininn@winthropinn.com. See ad on page 19. ✔ Comstock Motel • 110 N. Main 509-826-1272 • www.comstockmotel.com. See ad on this page. REPUBLIC Your home away from home! ✔ Ansorge Hotel Museum • River Street • Tours available • Memorial Day through August, Saturdays noon to 4 p.m. 509-779-4951 or 509-779-4823 • See ad on this page. ✔ Old Molson Outdoor Museum; Molson School Museum • Molson • Schoolhouse: Memorial Day-Labor Day, Outdoor: April-November. 509-485-3292. Experience some of Okanogan County’s early history. See ad on page 35. ✔ Okanogan County Historical Museum • 1410 2nd Ave. • Memorial Day weekend through Labor Day, 7 days a week. 509-422-4272. Visit our award-winning museum. ochs@ncidata.com. See ad on page 35. ✔ Okanogan Borderlands Historical Society and Depot Museum • 1210 Ironwood • May 1-Sept. 15. • 509-476-2739. Old depot, railroad and fruit label display, McDonald Cabin. borderlandshistorical.org. obhistsoc@gmail.com. See ad on page 35. Enjoy a scenic drive and experience some of Okanogan County’s early history. Open daily 10 a.m.-5 p.m. Memorial Day Weekend through Labor Day Many floors of memorabilia. Open daylight hours April through November Nearly five acres of historic townsite with full-scale buildings and exhibits. 15 miles east of Oroville, WA., USA For information telephone 509-485-3292 or email a volunteer at info@edenvalleyranch.net &! You will find vacation, relocation, economic development and community information. Also local and state maps, brochures, history, camping and RV information, hotels, motels, directions and much, much more. ✔ Neal’s Gun and Pawn, LLC • 105 W. Oak St. 509-422-4123. See ad on this page. ✔ Brewster Drug • 811 Hwy. 97 509-689-2421. See ad on this page. ✔ Gross Drug • 2520 Foster Creek Ave. 509-686-5191, 877-554-DRUG (3784). See ad on this page. ✔ ReMax Welcome Home • 215 N. Main, 509-826-5555 • www.Remax.com Monica Giovacchini, Designated Broker. Kory Heindselman, Robert Butler, Brokers. See ad on this page. ✔ Windermere Real Estate/Methow Valley • Omak/Okanogan branch: 540 Riverside Drive. 509-826-5906 Robert Monetta, Broker. See ad on this page. ✔ Okanogan County Fairgrounds RV Park and Horse Stalls • Hwy. 97, 2 miles north of Okanogan Bingo-Casino, 509-422-1621. See ad on page 28. ✔ Riverbend RV Park • 19961 Hwy. 20 • 509-997-3500, 1-800-686-4498 www.riverbend.com. reservations@riverbendrv.com. See ad on this page. From rattlesnakes to coyotes, Okanogan Country is teeming with many forms of wildlife, waiting for their photo to be taken. ✔ Curlew Store • 2 River Road 509-779-4825. See ad on this page. ✔ Rawson’s • Downtown Okanogan 509-422-4247. See ad on inside front cover. ✔ Brewster Marketplace • 907 Hwy 97 509-689-3404. www.harvestfoodsnw.com. See ad on this page. The Corner Shelf • 6 N. Main 509-826-0527. • Books, art and collectables. ✔ Anderson’s Grocery • 711 S. Clark 509-775-3378. See ad on this page. ✔ Peligro Studio • www.peligrostudio.com See ad on this page. Loup Loup Ski Area • Hwy. 20 between Omak and Twisp PO Box 768 Okanogan, WA 98840 • 509-557-3401. NAME/ADDRESS/TELEPHONE/FAX ✔ Koehn Trailer Sales • 509-486-8765 • www.koehntrailers.com. See ad on this page. ✔ Alpine Veterinary Clinic • 741 Riverside Drive 509-826-5882. See ad on this page. ✔ Chief Joseph Dam • 466 Pearl Hill Road 509-686-5501 • See ad on page 41. ✔ Conconully Chamber of Commerce • 315 Main 877-826-9050. www.conconully.com. See ad on page 41. ✔ Grand Coulee Dam Area Chamber of Commerce • In City Hall, Midway Ave. 509-633-3074. www.grandcouleedam.org. See ad on page 41. 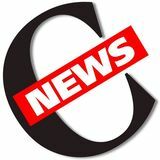 ✔ Omak-Okanogan County Chronicle • 618 Okoma Drive 509-826-1110 • 800-572-3446. See ad on page 42. ✔ City of Okanogan • 120 3rd Ave. N. 509-422-3600. See ad on inside back cover. ✔ Okanogan Chamber of Commerce • 509-422-4272 1410 2nd Ave. okchamber@communitynet.org. See ad on page 42. ✔ City of Omak • 2 N. Ash St. 509-826-1170. www.omakcity.com. See ad on page 44. ✔ Omak Chamber of Commerce • 401 Omak Ave. 509-826-1880, 800-225-6625. www.omakchamber.com. See ad on page 45. ✔ Oroville Chamber of Commerce • PO Box 2140 509-476-2739. www.orovillewashington.com; orovillewashington@gmail.com. See ad on page 43. ✔ Republic Chamber of Commerce/Regional Visitors and Convention Bureau • 979 S. Clark Ave. 509-775-3387. www.republicwa.com. See ad on page 46. ✔ Tonasket Chamber of Commerce • 215 S. Whitcomb, PO Box 523 509-486-4429. www.tonasketchamber.com. See ad on page 43. 1315+9 &155 .9 0 9'31 $&(4 !1$45 1) 317,..( #,0( (45,7$. !6/%. (8((' ,./ (45,7$. +(4$8:4 15 6*645 ,*+54 64,0(44 !3,&- 13 !3($5 1456/( 105(45 +3,45/$4 !3(( ,*+5,0* $0' $31.,0* 5+ 006$. # &( ,4+,0* (45,7$. ✔ Rockwall Cellars • 110 Nichols Road 509-826-0201. www.rockwallcellars.com. See ad on this page. ✔ Alpine Brewing Company • 821 14th Ave. 509-476-9662. See ad on this page. ✔ Esther Bricques Winery and Vineyard, LLC • 38 Swanson Mill Road 509-476-2861, fax: 509-476-2861. www.estherbricques.com. See ad on this page. ✔ Okanogan Estate and Vineyards Wine and Gift Shop • 1205 Main 509-476-2736. See ad on this page. NORTH CENTRAL ✔ Cascade Foothills Farmlands Association • www.visitwashingtonfarms.com WASHINGTON 509-433-1054. See ad on this page. Come join us in Okanogan for quality shopping and a friendly downtown experience. In Legion Park, you can visit the Farmer’s Market from late spring through fall. Okanogan is proud to host this Saturday market, where neighbors can visit and buy local fresh produce, baked goods and handmade items. Free Hi-Fi wireless internet also available. Our historic downtown offers the finest in unique shopping and dining. For shoppers we offer everything from Western wear to one-of-a-kind gifts. Stop and eat at our restaurants, or grab an espresso and admire our Frank Matsura murals as you walk through our friendly historic downtown. Travel into the past as the Okanogan Historical Museum showcases the history of Okanogan County, including the famous Frank Matsura photos. Stroll over to the Fire Hall Museum, an exact replica of the original 1910 building, and see the antique fire equipment. Enjoy the museums’ beautiful, shaded setting of Legion Park, where you can camp for the night. 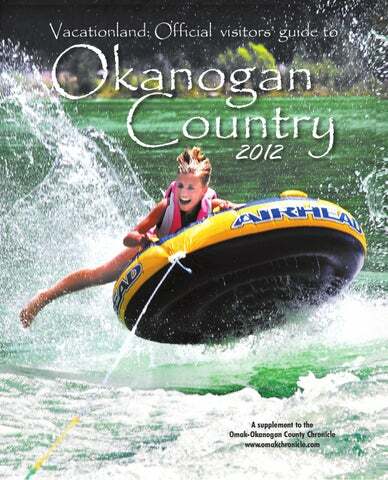 So, come visit the City of Okanogan and enjoy the many activities available. We’re sure you’ll want to visit again! C O M E V I S I T O KA N O G A N ! The City of Okanogan boasts a variety of activities to interest everyone. Whether you live in Okanogan County or are just visiting, Okanogan is the place to stop! Your complete guide to visiting Okanogan Country, which includes Okanogan and Ferry counties in North-Central Washington.